I’m currently working on designs for the launch of my new yarn, ‘Yorkshire Warmth’. Because this collection is to show off the properties of my yarn, and not to teach a specific stule of knitting, I can let my creative juices run freely, using whatever knitting techniques I wish. In fact, I want to use a variety of knitting styles, and even have an idea for a cardigan that features both cables and stranded colourwork! 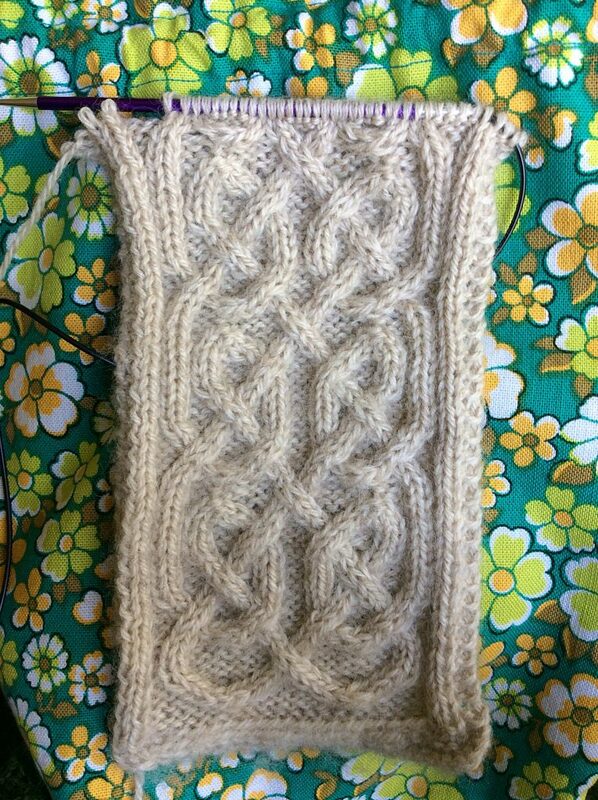 So, I’m again looking for cable inspiration, and went to my favourite source, Celtic knots. Though widely known as ‘Celtic’, in the UK these patterns are mostly found in artefacts from the Anglo-Saxon period, 410 to 1066 AD, during which time people from Northern parts of mainland Europe settled in the UK. 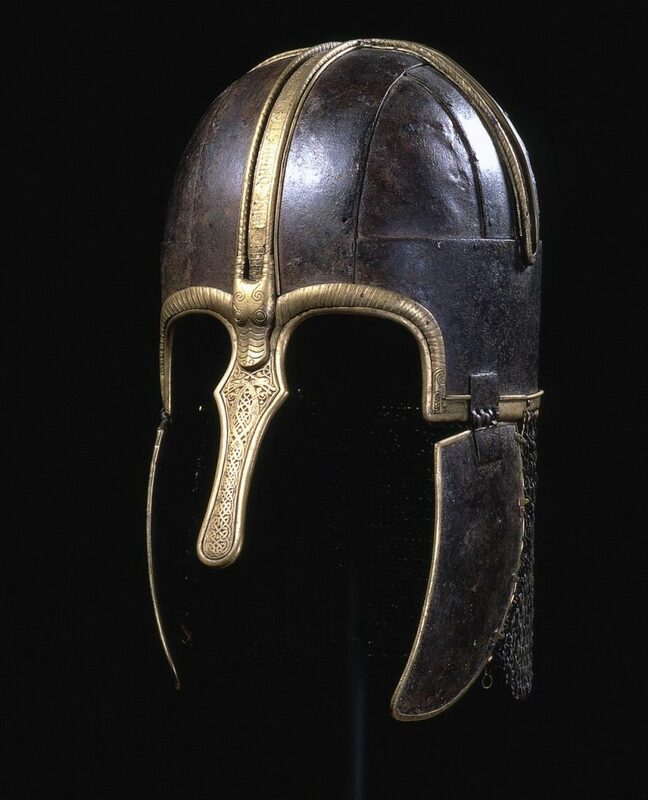 Yorkshire has a particularly strong Anglo-Saxon and Viking heritage, and in modern times many artefacts from the period have been unearthed.